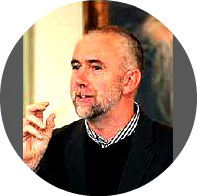 Craig Prichard is an associate professor in the School of Management at Massey University in New Zealand. He is keen to see the CMS board support the Critical Study of Management beyond its ‘NATO’ home and in particular to foster the formation of networks of scholars in the Asia-Pacific Region. Craig has been extensively involved in the Critical Management Studies Division of the Academy of Management (Division Chair 2010-2011) and is the incoming Editor-in-chief of the journal Organization. He organized the 2011 Asia-Pacific Researchers in Organization Studies Conference in Auckland, New Zealand and was the keynote speaker at the inaugural meeting of Japan’s Critical Management Studies Network at Rissho University in Tokyo in 2009. His recent published work addresses the development of ‘locale’ forms of academic knowledge of management and Marxian institutional analysis.